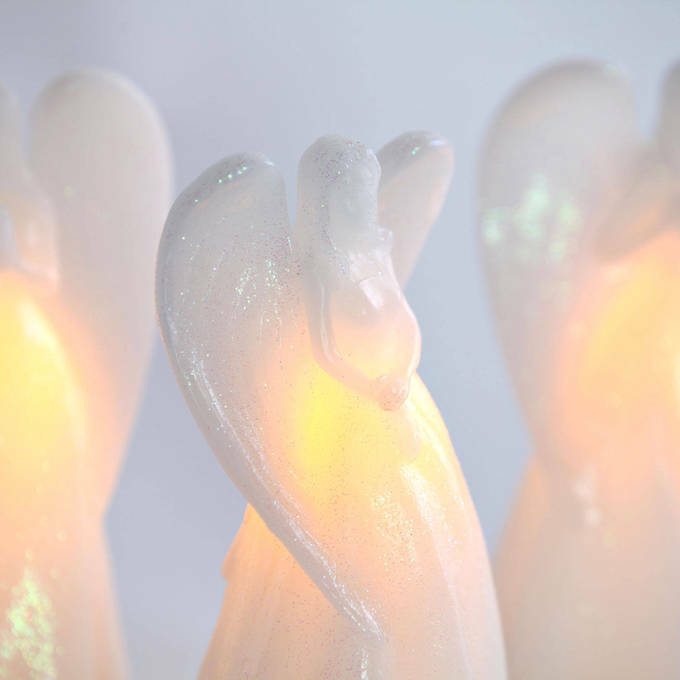 There are only 175 available of the Shimmering Angel Flameless Pillar Candles, Set of 3. Your selected quantity has been adjusted. 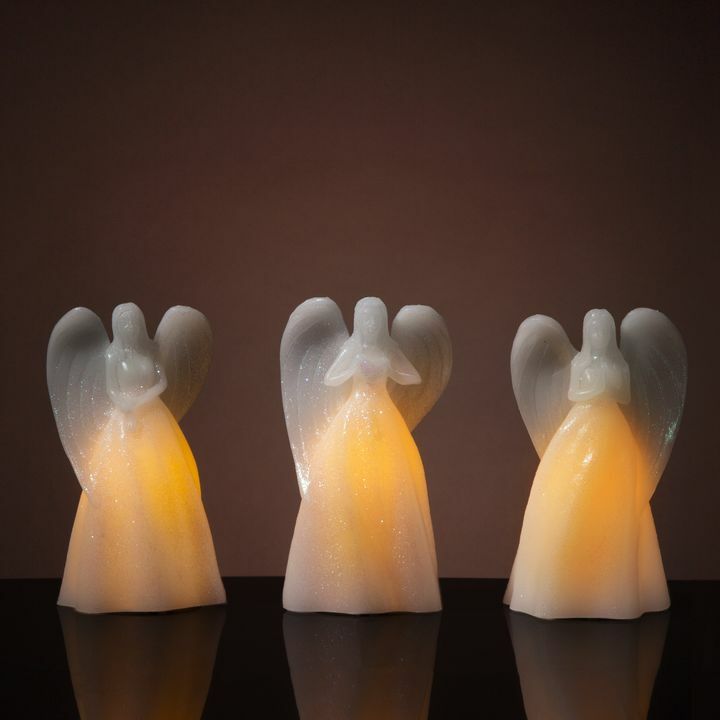 This trio of angels, with their shimmery, wax bodies and warm glow, offer both cheer and comfort wherever you might place them. They also provide the benefits of flameless candles - subtle ambiance without the worry of messy wax drippings or open flame. For your convenience, the trio has a five-hour timer feature. 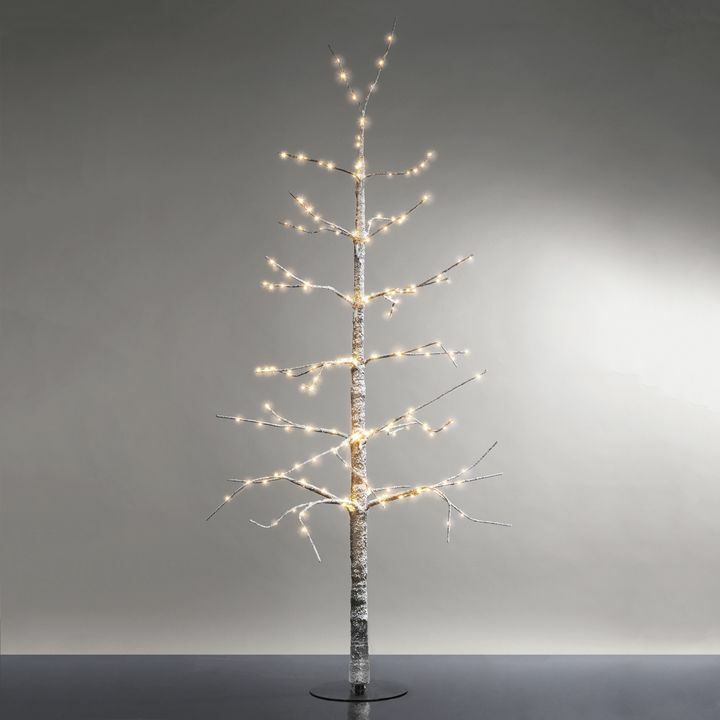 Switch to timer, enjoy five hours of illumination, and the candles will resume lighting at the same time the next day. Perfect for home, weddings, churches, restaurants, and events. I found the three angels nicer than I expected, including the size and the light they emitted. I always have one to give to a friend that lost a loved one. I find the light always reminds them of someone dear. Beautifully done. 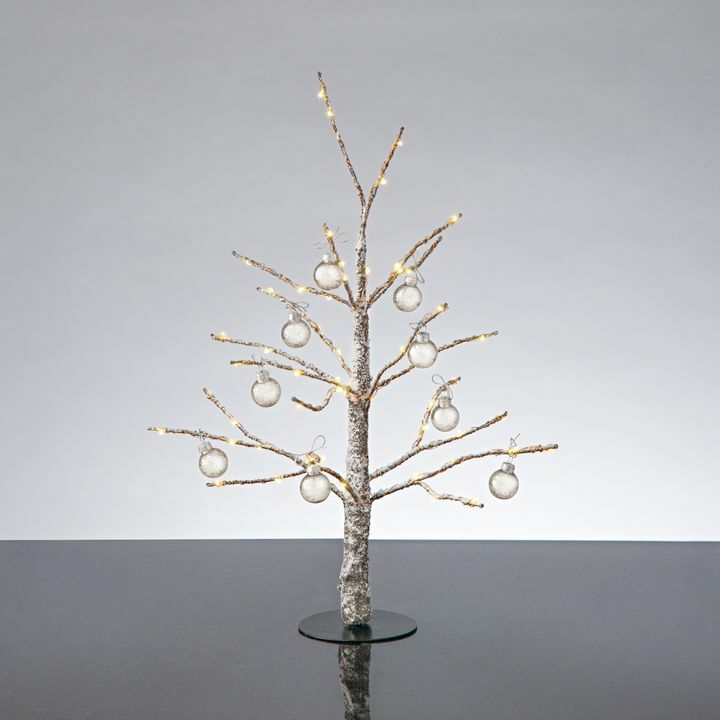 Petite enough to cluster together for a table centerpiece, they also stand alone. We are enjoying them this Christmas. 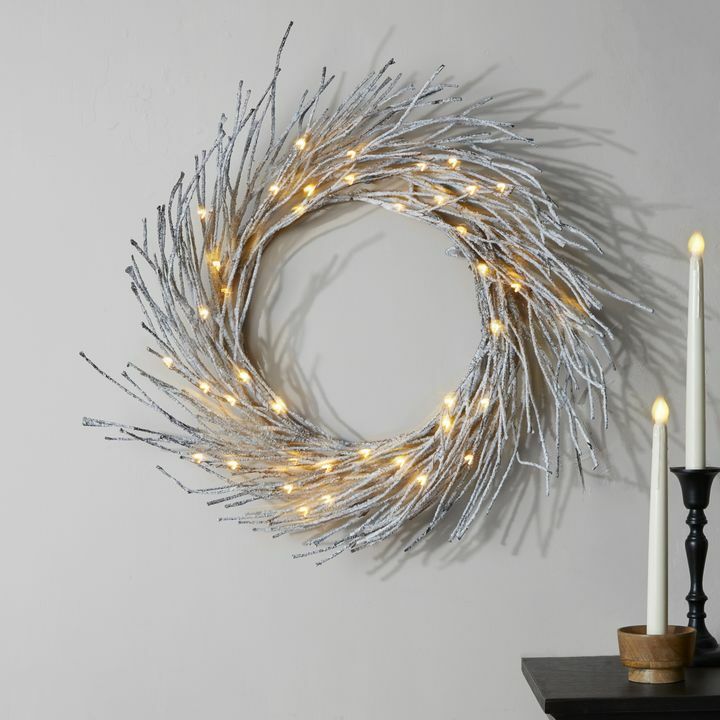 I have been looking for candles with a timer for my entry way for a very long time. The angels are perfect! They have a soft glow and the timer allows me to forget about turning them off. Very nice kproduct. including my last order. Another order to come next month. I have bought and given these angels to at least 30 people........the most cherished gift I could give......whether it be a newborn, a young child, a teenager or an adult or elderly person........never received a bad review.....they are the gift that I have tucked away for "just in case gift" for unexpected visitors or gifts. This is a second purchase. A wonderful gift for almost any occasion. Very thoughtful gift at a time of loss. I got my first one as a gift when my dad passed away and it reminds me of him daily when it turns on. I give these angels to people for many reasons. 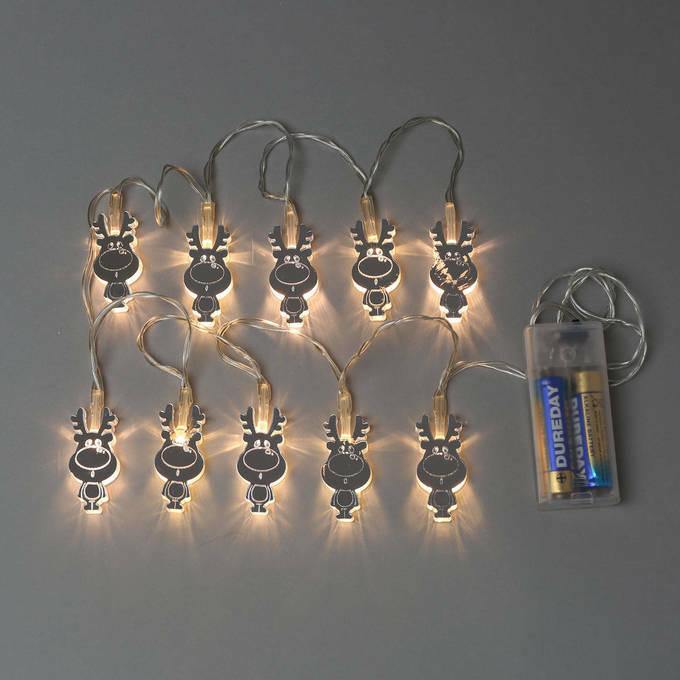 I love that they have a timer and can even be used as a nite lite for little ones. Everyone I give them to want to know where I get them. Thank you for these wonderful angels and always quick delivery. 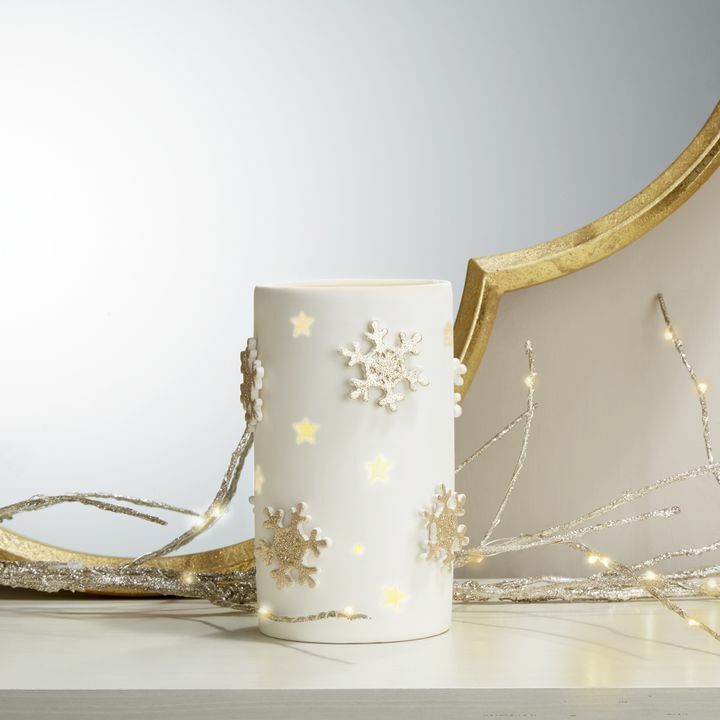 These three glittering angels are a must in my house at Christmas. Just beautiful . Worth the price. They are very pretty. I bought them for my nieces memorial. Very happy. What a great Xmas gift. 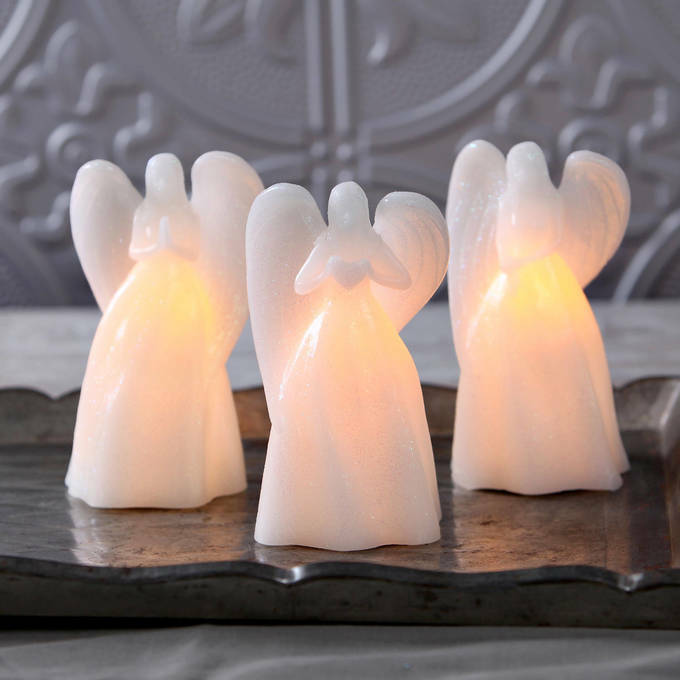 These Flameless candles are "ANGELS" I just gave one to My neighbor who is in the hospital, for Spiritual inspiration.... LUV, LUV, LUV, this priduct !!! I buy these all the time and give one away as a gift especially when they lose someone special. 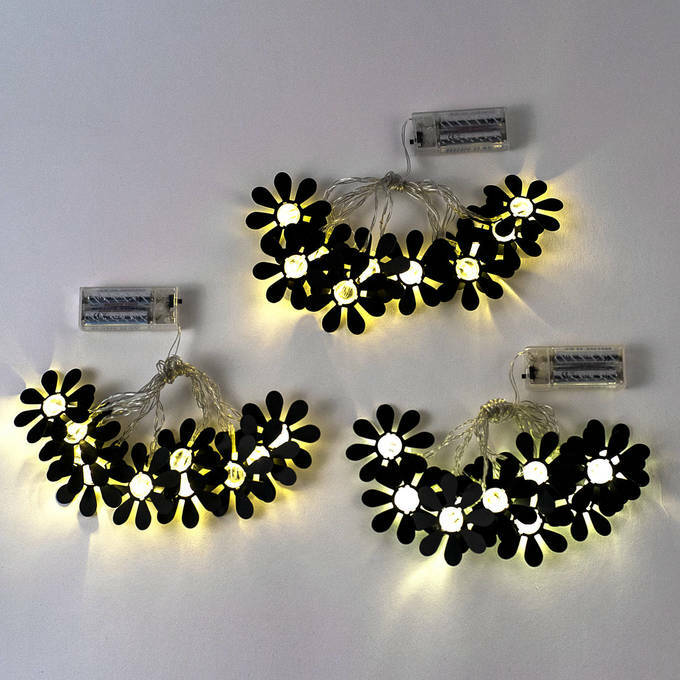 They light up for 5 hours on a timer. I give these to people who are suffering from illness or disease. It's a reminder that prayers are being said for them. They are just lovely and make a wonderful gift. The timer is a great feature! The Angels are just exactly what I had hoped they would be. I leave them out all year because they make me smile. highly recommend this seller. Thank you! 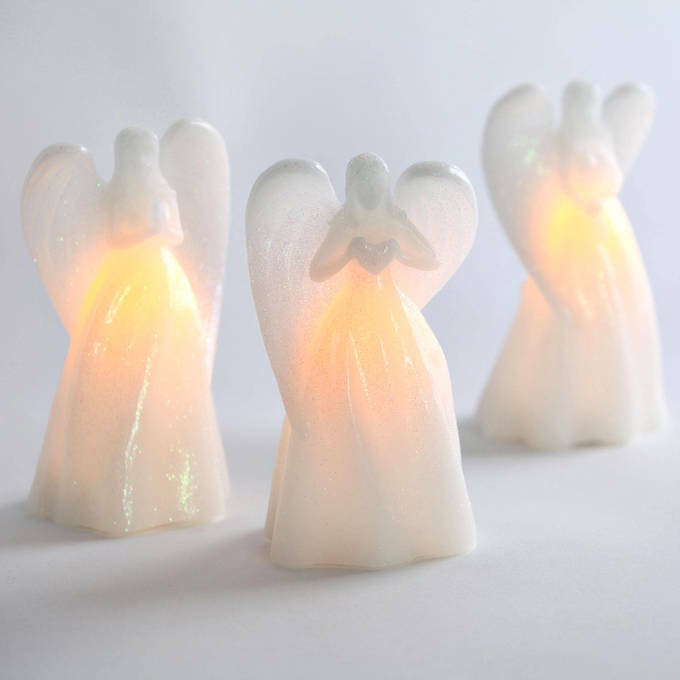 I had purchased several sets of the Candle Impressions angel trios to give as gifts to friends grieving for loved ones or who needed a lift. I was sad when they were no longer available. By chance I saw these and ordered 2 sets. They are almost identical to the originals other than one Angel had her hands at her waist holding a star. 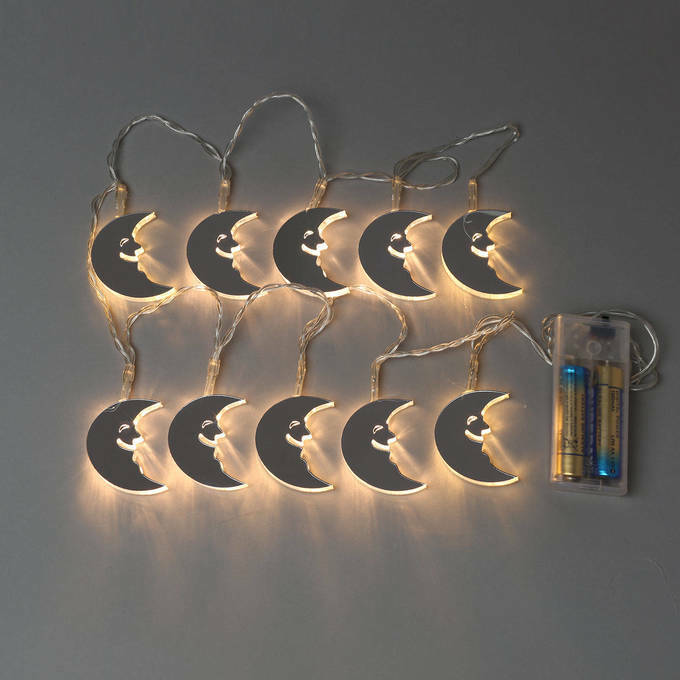 That star is missing in this set. Other than that small difference, which I hope the manufacturer can correct, I am pleased with the quality. Saving up to buy more sets as I don't want to be without them when someone needs an Angel! 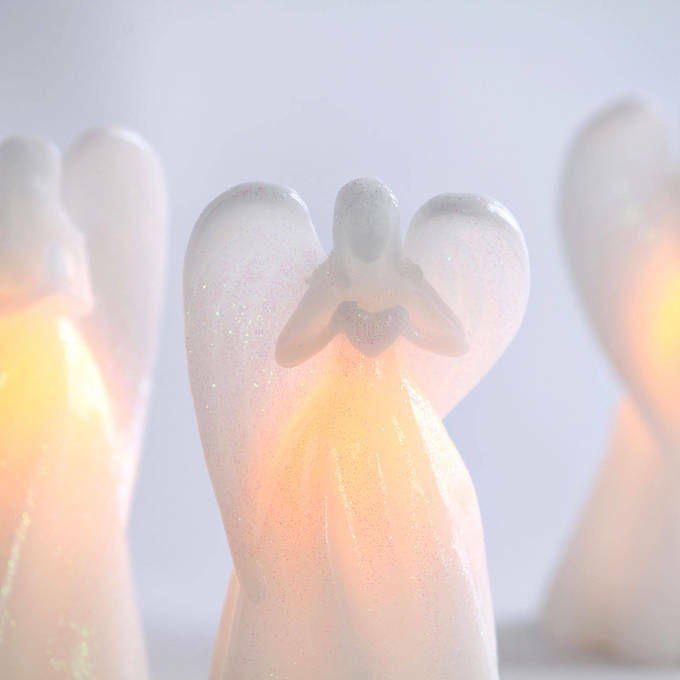 Who is the manufacturer of these angel candles? They look like the ones manufactured by Candle Impressions, are they the manufacturers or is it another company? 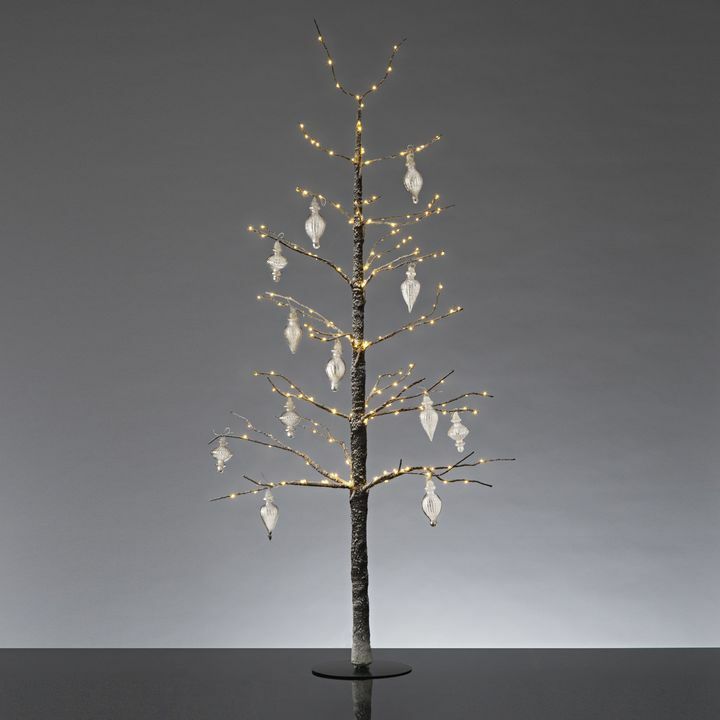 While the candles may seem similar; we are actually the manufactures of these Shimmering Angel Flameless Pillar Candles. 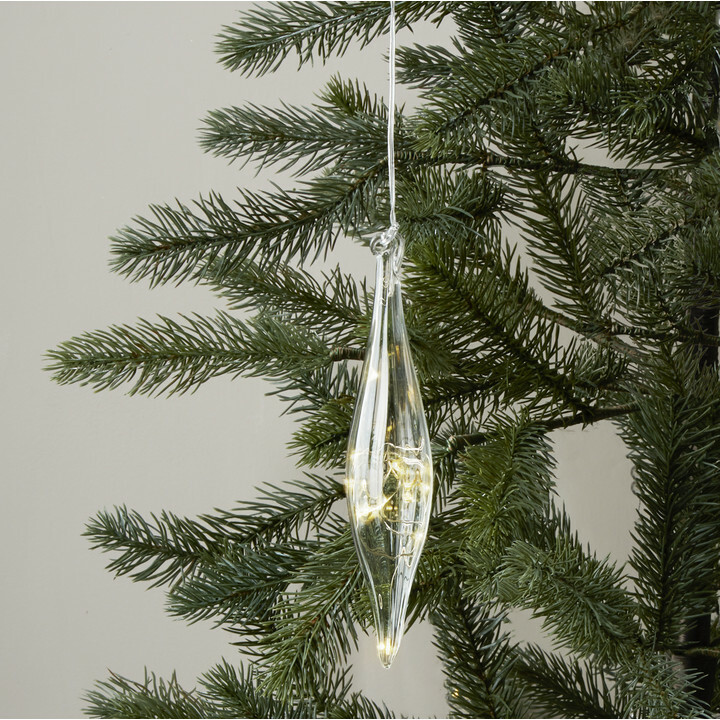 These are beautiful, but I am wondering if the glitter on these Angels comes off easily? Thank you. 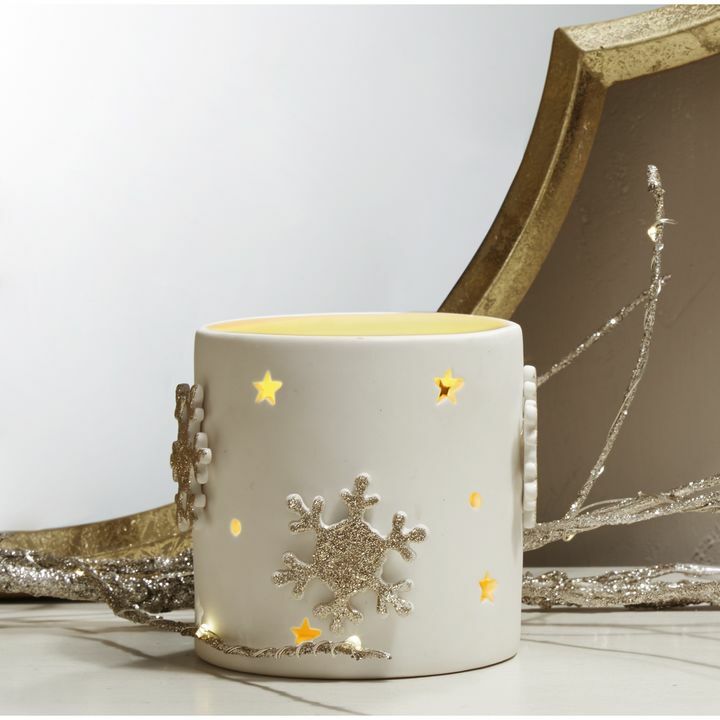 The glitter on the Shimmering Angel Flameless Pillar Candle Trio does not come off easily. We have not gotten any complaints from a single customer regarding the glitter coming off. Unfortunately, the 13\" candles have been discontinued, and there are currently no plans to produce more. Here are the angels Dimensions: 3\" W x 7\" H (7.62 x 17.78 cm) If your mason jar is bigger than that I see no reason it shouldn't fit. Depends on the shipping method you choose, our standard ground shipping usually takes up to 7 business days. Are they each individually boxed? I received one last year as a gift and I think it came in a white mesh drawstring bag, is that how you send them out? These angels come in 1 box with three as a set. They do not come with a white mesh drawstring bag. Can you ship to Mumbai, India. I am interested in praying Angels set of two and also sitting baby angel. In USA, is your shipping free?. We typically do not ship internationally. If you are able to provide a third-party forwarder located in the U.S., we can ship to their location.